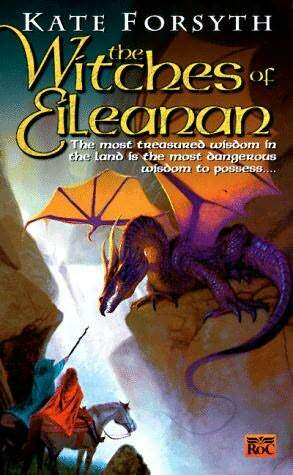 In the land of Eileanan, magic has been outlawed and the penalty for being a magic creature is death. It has been 16 years since the Day of Betrayal that led to the destruction of a good percentage of all the witches and their towers holding their knowledge. It's been 16 years since Maya showed up, placing the Righ under a spell, taking control of the all the lands. It also has been 16 years since Meghan found Isabeau on her doorstep. In their sheltered valley, Isabeau has been taught in the way of the Coven, learning the forbidden art of magic. On her 16th birthday she is tested and initiated as an apprentice right before the Red Guard show up. Now on her own for the first time, Isabeau has a dangerous mission. She must bring a magical artifact to a friend of her teacher's, right in the palace of the capital city. As Isabeau is making her way, Meghan heads over to the dragons trying to enlist their aide. While talking with them, she meets Isabeau's twin sister. Meghan senses the same power in her as Isabeau and takes her with her as they now travel to catch up with Isabeau. During the course of the book we meet many more characters: Jorge the Seer, Ishbel the Winged, Tomas the Healer, Dillon the Bold, Seri the Seer, Margrit of the Thistle, Bacaiche the Cripple, Lilanthe of the Forest, Lady Glynelda the Grand-Seeker and so on. Some are good, some are bad and all of them are interesting. As first books in a series go, this one wasn't so bad. It was pretty good except for the fact there are magical creatures hunting down other magical creatures. I hate that storyline, and I can't seem to escape it. It's not too bad in this book, because Maya just isn't some witch who wants power for herself and doesn't want anyone else to have any. She has a plan. As do a few other characters; it'll be interesting to see how it comes together. The only problem other I had was that everything was a little confusing. There was no map, so I had no idea where everyone was in relation to each other. Also the language was a bit confusing. At first I had no idea what a baird was or a Righ or a Banrigh and so on. As the story progressed you got used to it, just all the names of the places stayed a complete jumble to me. There was also a lot of characters and it was a little hard to keep them all straight, considering they are all on their own. The story itself was really good and well written. I just hope that it keeps up in the rest of the series.